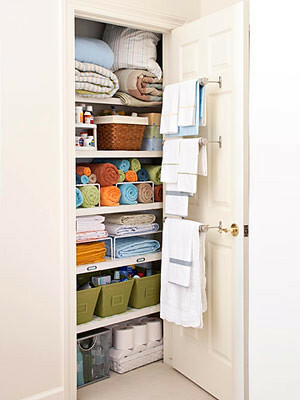 Not a closet per se, but a linen armoire. Same function though and enviously organized. 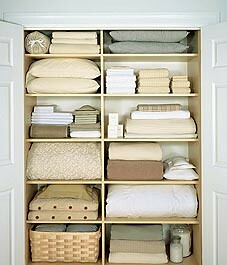 Ever since we moved into our house two years ago, I've never once done anything to our linen closet. Meaning, I just cram all of our towels, sheets, and bath rugs in there praying that it all fits. Granted, it's so small that I really can't do much to it but I think it's time I gave it some love and organized its contents properly. I won't show you what it looks like until I've completely done it up (it looks horrid at the moment), but to help me (and possibly you) get motivated for this big task I thought I'd hunt for some organized (and chic!) 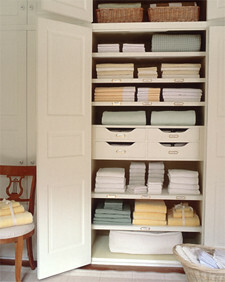 linen closets that I want ours to look like. 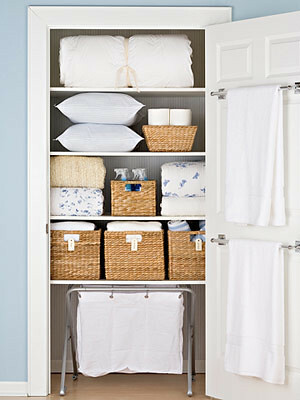 Drawers in a linen closet? To die for. How does one keep sheet sets in order? 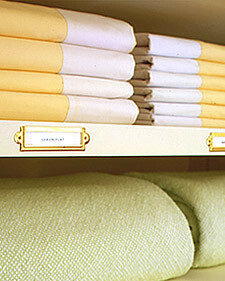 Slip each sheet set into one of its own pillowcases and you're sure to keep things orderly. Thanks Martha! Labeling is going to be key in getting my closet in order. 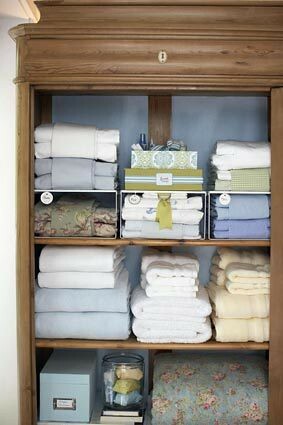 Having dividers on each shelf help keep the contents from becoming messy. I love how everything has a place in the closet. Including toilet paper! I love me some bins - I'm definitely going to have fun shopping for bins. 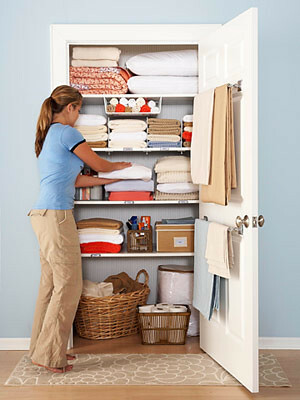 Our linen closet is smaller than this, can you believe that?? Brilliant idea having towel bars installed on the inside of the door. 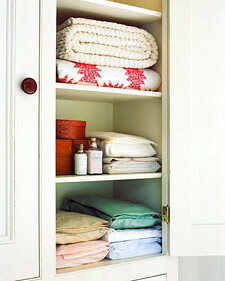 Omgosh I just wrote a post about my linen closet and I did show some pictures. It is not up yet but scheduled for Monday!!! I love this post and if it is alright I would like to link it to my Mondays post. This is what I aspire too!! PS Be sure and go to my blogaversary post I am having a Container Store gift card giveaway of $75. I think it will help in the storage problem areas!! I really like the clothes pin idea for labeling on the bins. :) Great post, thanks! Thanks! Yes, I completely agree. 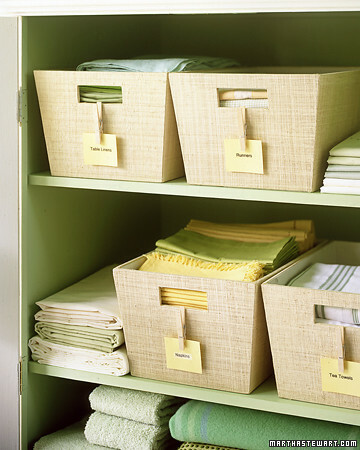 It's a great way to stay organized and it's inexpensive - that's what I like!